Chinese and Russian differ a lot from the European languages, e.g. French, regarding their morphology, lexicon, syntax and semantics. This complexity causes a lot of problems for Machine Translation (MT) systems. 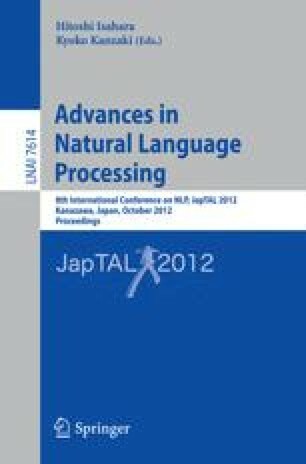 This paper describes our MT system, operating from French to Chinese and Russian, and reveals through different examples our methodology. The latter is designed to deal with this complexity, in order to increase the accuracy of the human communication.